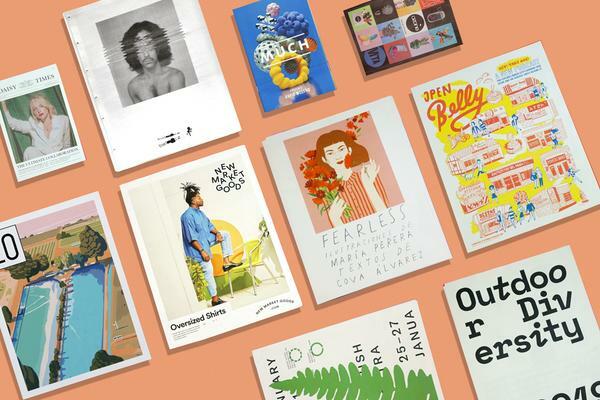 Posters, portfolios and pannapictagraphists (the tongue-twisting term for comic book collectors) – it's all in our November print roundup! 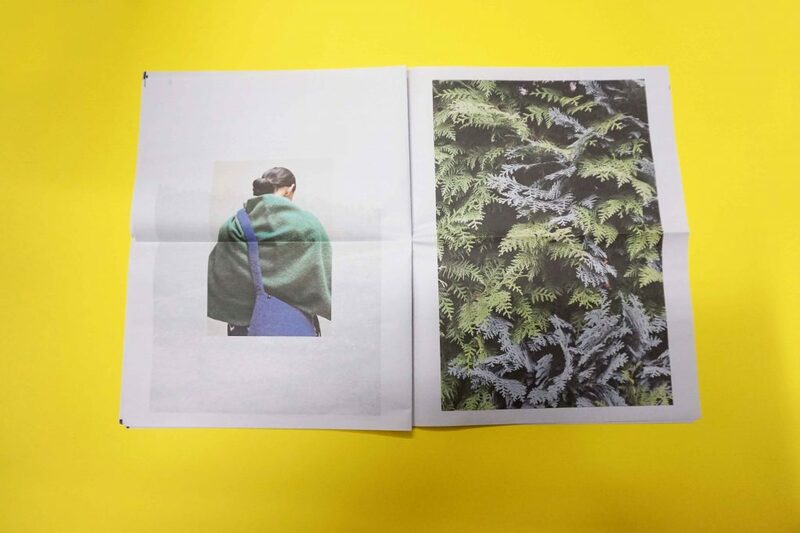 Read on to see the newspapers that caught our eye last month. 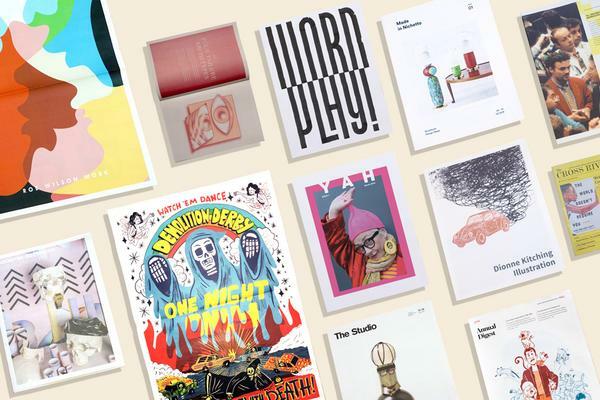 For their year-end mailer, Seattle-based branding, print and interactive firm DEI Creative printed Good News – a "rose-coloured treatise on the past 366 days." In it, they share some cheering things that happened in 2016 – like a solar plane flying around the world and the first flower blooming at the International Space Station's veggie facility (a zinnia, snapped by Expedition 46 Commander Scott Kelly). The broadsheet folds out into a big poster to pin up as a reminder that "progress and goodness still have a seat at the table." 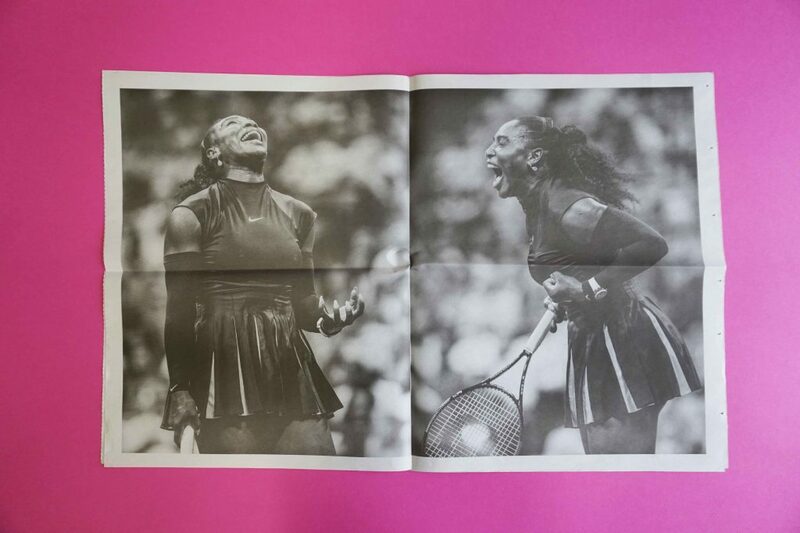 Brooklyn-based sports photographer Nicholas Laham serves up intimate and energetic portraits of Serena Williams in this large-format visual diary. 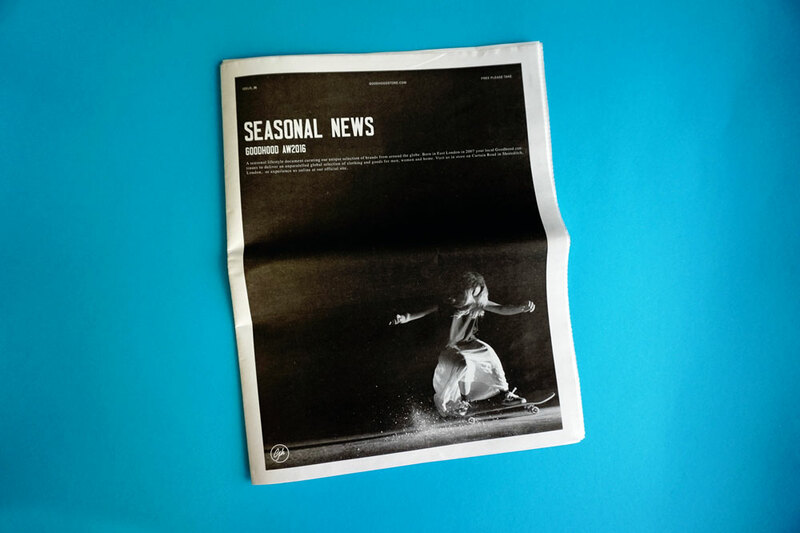 Newsprint is the perfect medium for longer, reportage-style photography, says Laham, who sent the portfolio to his roster of agencies and editorial clients. The Shiraz Arts Festival, a celebration of Iranian musicians, directors, and artists, took place in Shiraz every summer from 1967 to 1977. 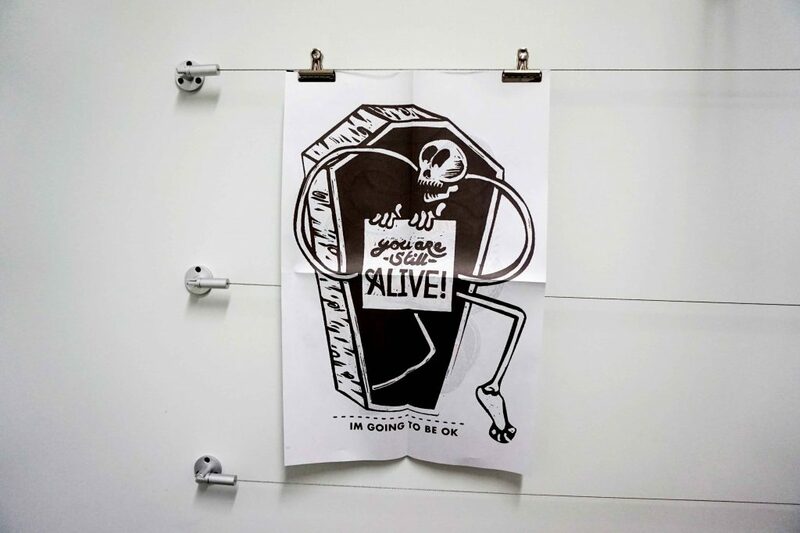 With this double-sided newsprint poster, graphic designer Kian Ansari imagines the festival in a contemporary setting. The idea behind reviving the festival, he says, is to "bridge the gap between conservative and liberal Iran and rejuvenate arts and culture within its borders." On one side of the poster (pictured above) is Andy Warhol's 1978 portrait of Iran's Queen Farah Pahlavi, who spearheaded the original festival. Journey into the Scandinavian wilderness with this lookbook for Norwegian designer Cecilie Telle, photographed by Ruby Woodhouse. 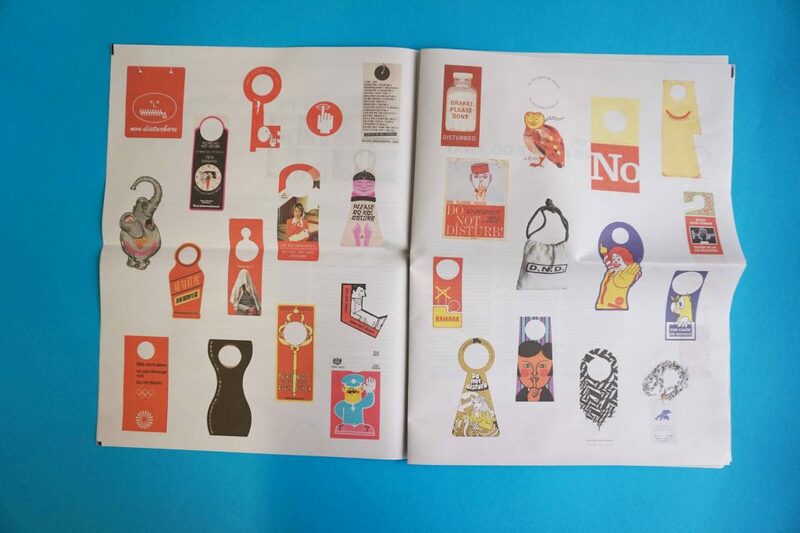 The newspaper formed part of a collaborative window display at Momosan Shop in London (you can spy it here). Woodhouse likes newsprint because it's both "precious and useable" – not unlike Cecilie Telle's handmade and felted accessories. 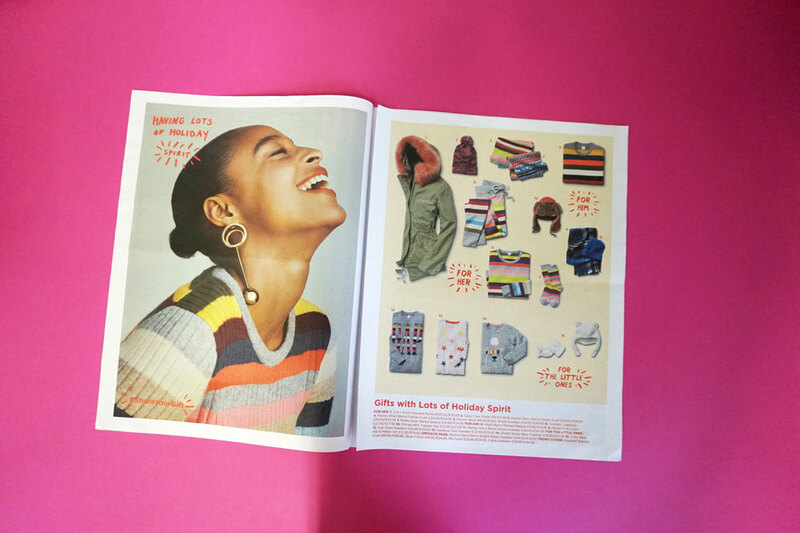 Here's a cosy holiday catalogue we printed for Gap, showing off their shimmery, wooly gift ideas. Look out for it in Gap shops across France, Italy and the UK. We stopped by Gap in Glasgow last month to check it out in its natural habitat. We love this double-sided poster from artist Landon Sheely, who tells us he printed the newspaper "in solidarity with Standing Rock – to get the word out and hopefully raise a little awareness to the struggle in North Dakota." 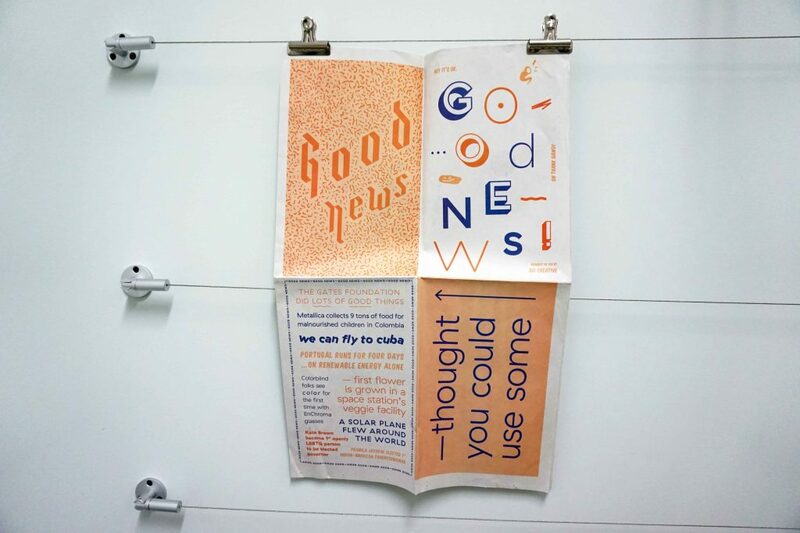 Good Stuff is exactly that – a roundup of the best projects from Coventry-based creative agency Rawww. 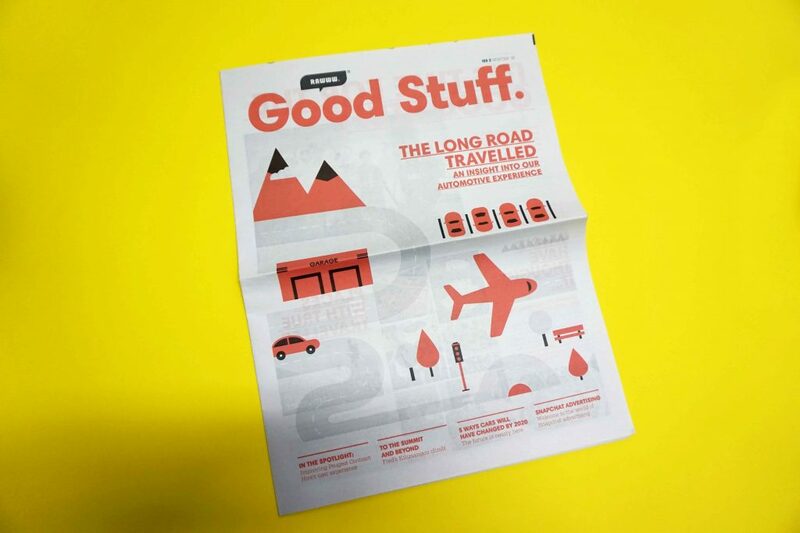 "We use the Good Stuff newspaper to showcase the insightful and inspiring work we create and admire," says Rawww's Theo Louca. This is the third issue we've printed, and Good Stuff keeps getting better. One person's trash is another's treasured collection of used lottery tickets (and that person is called a lotologist, by the way). Using photography and articles sourced from publications like Collector's Weekly and The New York Times, Conti explores what and why people collect. To Collect is a fascinating flip through a collection of collections (Is there a name for that?). 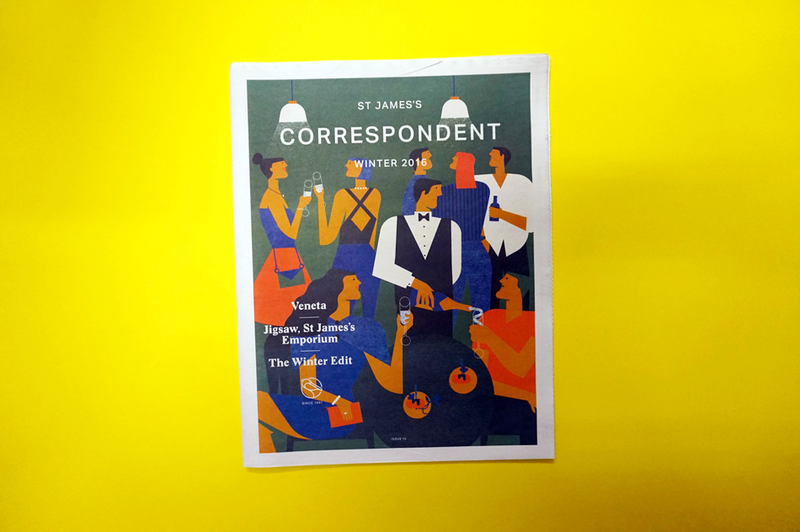 A new issue of The Correspondent is always cause for celebration. 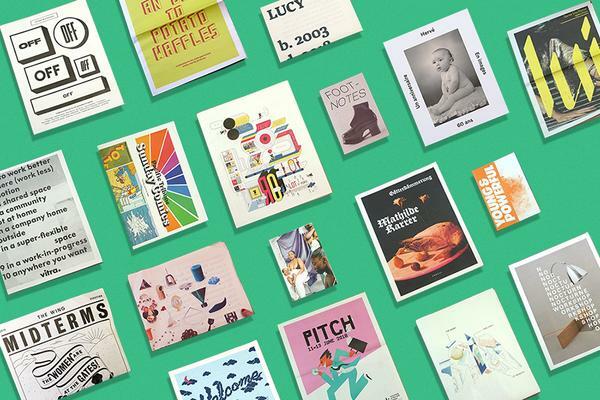 Produced by London creative agency dn&co, the publication champions the food, fashion, art and culture happening in the St James's neighbourhood of central London. As always, it's worth picking up for the cover alone – this festive design is by Australian illustrator Niki Fischer. 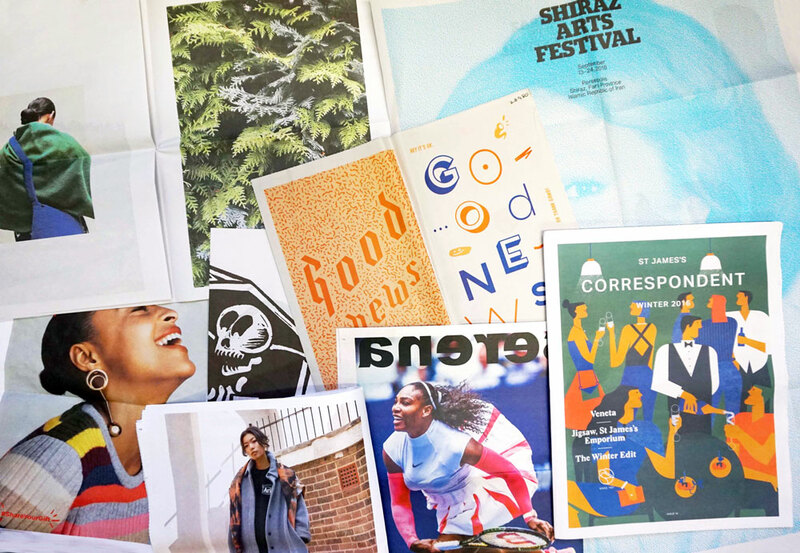 Want to see your newspaper featured in our next roundup? Print something!